Please note, we do not breed to sell puppies. Our interest is producing outstanding Dobermans for the next generation and beyond. We breed very few litters, and closely follow the lives of every dog we breed, throughout their life. 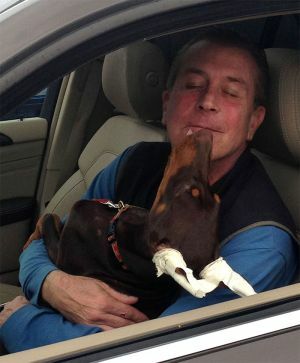 We spare no expense with respect to the health, care and conditioning of our dogs, and seek homes with experience, who understand the unique characteristics of the Doberman. We especially value those who understand why breeding quality dogs on a selective basis is important for the future of the breed. This is NOT a profitable enterprise. 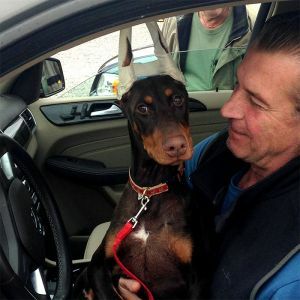 If you are a first time Doberman owner, looking for a pet that you can spay or neuter at six months of age, we most likely do not have a dog for you. If you want an intact animal to use in a "breeding enterprise" that you have designed, we will NEVER have the dog for you.